A. We buy ANY car, truck or SUV, all years, makes and models, paid for or not. We pay highest price for late model cars in good running condition but will consider non-running vehicles on a case by case basis. Because we are a nationwide dealer network with customers all over the country, you never know what particular vehicles are wanted, so if your car has been sittng or you just can't drive it anymore, call us anyway. You'd be surprised! As they say, one man's trash is another man's treasure. That said, we'll have ready buyers for your vehicle regardless of age or condition. You simply call us, we make an offer and if agreed, pay you on the spot. All that and free towing! A. When you call Cash For Cars Las Vegas, we make an appoinment to see you and your car at your convenience, either at your residence or place of business, whichever is best for you. 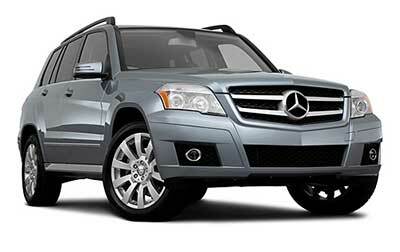 When we examine the car, we'll finalize the offer and arrange to have the vehicle picked up right then or the same day. That's another benefit of selling your used car, truck or SUV to us, because you save money on gas and precious time not having to drive all around town trying to get your best offer. A. We have a direct link to the Nevada DMV to determine if you owe any fees on the vehicle. Whatever the amount is, we'll deduct it from the amount we pay you and then your liability is released. A. We are a state licensed auto dealer with our own in-house DMV department, we professionally process all DMV paperwork for you and we have proper forms to complete transfer without title. When you sell your car to us, there's less stress and No DMV hassles! A. For a quick, safe and fast transaction, have these three items ready: 1) your driver's license (or state issued picture ID of all people listed on title) 2) clear title of vehicle 3) registration. A. We contact the lender and get a confirmed payoff. If the payoff is less than what we are paying you, then we pay you the difference on the spot. If the payoff is greater, then you pay us the difference in the form of cash or certified check and we pay off the loan. You are then free and clear! A. When you sell your car to Cash For Cars Las Vegas, your liability is released the moment you sign it over to us, at that time and at that mileage. That's a major benefit of selling your car to us, because you are eliminating your risk of liability completely. One of the dangers of selling your car privately is that whoever buys your car doesn't transfer registration in their name right away. Npw you have the risk of an unknown person driving around in a vehicle registered in your name. The list of things that can potentially go wrong is endless! Play it safe and sell your car to us today. A. We have been buying and selling cars, trucks and SUVs in Las Vegas and all across the U.S.A. for over 30 years. We use the power of the internet to monitor the used car market along with our experience buying and selling cars. That combined with our special auto dealer computer database compares what cars like yours are going for not only locally, but also nationwide. By using these appraisal tools, we come up with a fair market value minus whatever is needed to make your car safe and marketable. A. We have been buying and selling cars as active, licensed auto brokers since 1983. A. We pay by company check if we come to you. Cash is available under some circumstances. Q. I Want To Sell My Car for Cash Today! A. Click to call! You can do that on your cell phone or your laptop with Google Chat, Skype or any app that does internet phone (VOIP). Or you could fill out our easy Online Quote form, send it to us and we'll contact you right away with a FREE QUOTE.